From the bestselling author of Shout!, comes the definitive biography of Eric Clapton, a Rock legend whose life story is as remarkable as his music, which transformed the sound of a generation. For half a century Eric Clapton has been acknowledged to be one of music's greatest virtuosos, the unrivalled master of an indispensable tool, the solid-body electric guitar. His career has spanned the history of rock, and often shaped it via the seminal bands with whom he's played: the Yardbirds, John Mavall's Bluesbreakers, Cream, Blind Faith, Derek and the Dominoes. Winner of 17 Grammys, the Rock 'n' Roll Hall of Fame's only three-time inductee, he is an enduring influence on every other star soloist who ever wielded a pick. Now, with Clapton's consent and access to family members and close friends, rock music's foremost biographer returns to the heroic age of British rock and follows Clapton through his distinctive and scandalous childhood, early life of reckless rock 'n' roll excess, and twisting & turning struggle with addiction in the 60s and 70s. Readers will learn about his relationship with Pattie Boyd--wife of Clapton's own best friend George Harrison--the tragic death of his son, which inspired one of his most famous songs, "Tears in Heaven," and even the backstories of his most famed, and named, guitars. 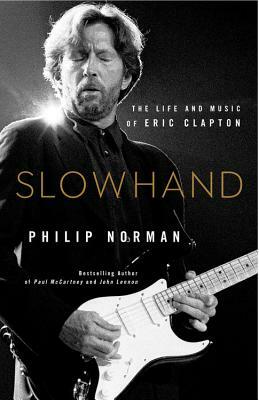 Packed with new information and critical insights, Slowhand finally reveals the complex character behind a living legend. Philip Norman is the bestselling biographer of Buddy Holly, the Rolling Stones, John Lennon, Elton John, Mick Jagger, and Paul McCartney, and the author of the classic Beatles biography SHOUT! He is also a novelist and playwright. He lives in London.